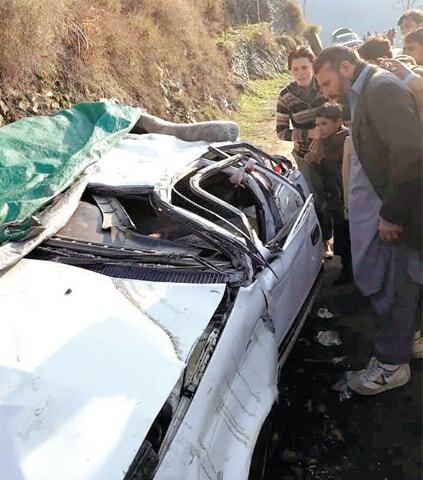 UPPER DIR: At least two women of a family were killed and five others, including a child and woman, sustained serious injuries when a car plunged into a deep ravine in Daskor area of Wari tehsil in Upper Dir, police and local people said here on Friday. They said that the car fell into a deep ravine when it reached Deskor area and as a result two women of a family were killed. They were identified as Hazrat Meena, wife of Arif Khan, and Naeem Bibi, wife of Inayat belonging to Malook Banda. 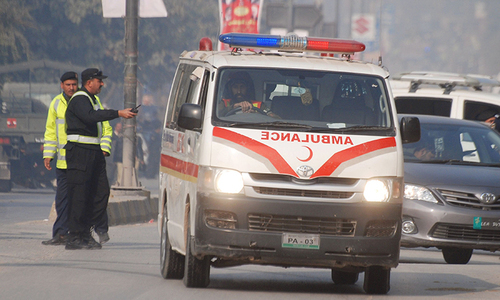 They said that the injured included driver Arif Khan, Khalil Mohammad, Shah Rasool, Abad and Muzlifa Bibi. All the victims are said to be from the same family. The injured were taken to Wari hospital where two of them were referred to DHQ hospital, Timergara.